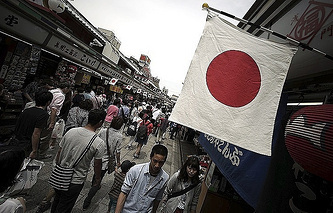 Following a brief upsurge in bilateral ties in 2016, Russian-Japanese relations are returning to their usual state, that is, applying efforts to find some common ground in light of ongoing and even growing mutual distrust, Kommersant’s sources said. The critical moment was the transition of the political decisions made by Putin and Abe in December 2016 towards a practical dimension. Russia will host a meeting between President Vladimir Putin and Japanese Prime Minister Shinzo Abe in May. The two countries’ top diplomats, Sergey Lavrov and Taro Kono, discussed bilateral ties on Wednesday in Tokyo. Lavrov told Japanese media ahead of his visit that during Abe’s tenure the annual volume of direct Japanese investment to Russia had decreased from $757 mln in 2012 to $18 mln in 2017. 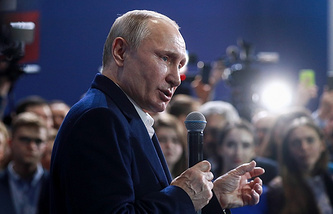 However, Kommersant’s sources noted that the actual investment volume is higher, as many Japanese companies fearing America’s sanctions invest in Russia through subsidiaries in Europe or offshore legal entities. Meanwhile, the paper’s sources in Tokyo say this is due to the fact that investing in Russia’s Far East is "difficult and risky." "From an economic perspective, projects in this region are of no considerable interest to us," one of them noted. "We are ready to invest in these ventures as political ones, but in that case we want to receive political concessions in return." On the other hand, Moscow is certain that Tokyo needs no addition political incentives to invest in the Far East, since the legal and business environment in the region is relatively comfortable. Russian Deputy Prime Minister Yury Trutnev noted that the Far East accounts for 26% of direct investment to Russia." Supporters of the Crimean Tatars’ Mejlis (the executive body of Crimean Tatars, outlawed in Russia) tried to put pressure on voters and whip up provocations in Crimea, Head of Crimea Sergei Aksyonov told Izvestia. "The election went smoothly and was well-organized. Law enforcement agencies reliably ensured the safety of the electoral process. There were no major violations, nor were there complaints from voters. You know that there were some bogus bomb threats, and there were attempts by the Mejlis to exert pressure on voters among Crimean Tatars. People informed the police about that, and law enforcement officials are currently addressing the issue," Aksyonov said. Members of the so-called Mejlis who moved to Ukraine after the 2014 events have repeatedly warned Crimean Tatars against taking part in Russia’s presidential election. They are trying to use the Crimean Tatar factor to destabilize the situation on the Black Sea peninsula, Russian Presidential Envoy in Crimea Georgy Muradov noted in an interview with the paper. “All that is fading away, because these ethnic representatives who are in Ukraine and are speaking on behalf of these people no longer have any real clout to sway people’s attitudes. Today, Crimean Tatars have opportunities for development on the peninsula that they never had before. This is true of their language, educational system and cultural life. Meanwhile, the Mejlis, which has been outlawed, actually no longer exists,” Muradov pointed out. According to Ruslan Balbek, member of Russia’s State Duma (lower house of parliament) from Crimea, about 60,000 Crimean Tatars took part in elections when the peninsula was part of Ukraine, while on March 18, at least 81,000 Crimean Tatars came to polling stations to cast their ballots in Russia’s presidential vote. Italy’s oil and gas giant, Eni, and its national gas transport operator Snam are ready to consider investing in the extension of the Turkish Stream project and natural gas delivery through Bulgaria to Austria, Eni CEO Claudio Descalzi and Snam CEO Marco Alvera have been quoted as saying. They explained that Italy, which is expected to receive gas through the Baumgarten hub, would like to ensure sufficient gas supplies for itself after Russia’s Gazprom energy giant stops transit through Ukraine, Nezavisimaya Gazeta writes. The European media is referring to the Turkish Stream’s second leg project aimed at southern and southeastern Europe as South Stream Lite. It appears that the second leg can replicate the route of the South Stream’s onshore extension running through the European Union. 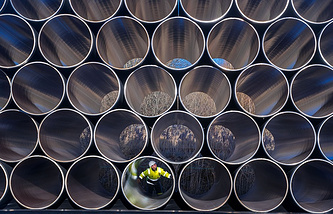 South Stream Lite is not the only option for the Turkish Stream extension. Potential alternatives are the Trans Adriatic Gas pipeline that is expected to run through Greece and Albania to Italy and IGI-Poseidon, which stipulates supplies from Turkey through Greece and Italy. According to Sergei Pravosudov, Director General of the National Energy Institute, the second leg of the Turkish Stream does not imply any large-scale construction of a new gas transportation system in the EU, the matter in question is "modernizing the existing infrastructure and creating relatively small connecting gas pipelines." However, other experts interviewed by Nezavisimaya Gazeta are somewhat skeptical about the prospects for Turkish Stream’s second leg. "Any interconnector between Southern Europe and Italy is attractive in terms of its prospects, but only if the EU agrees with Turkey’s rising status, because this arrangement makes it the key transportation and gas hub in the region," said Artyom Deyev, a leading analyst at AMarkets. "South Stream Lite runs through a large number of small countries, which have failed us on numerous occasions in terms of implementing gas projects, constantly changing their stance under pressure from EU commissioners," stressed Anna Kokoreva, Deputy Director of the Analytical Department at Alpari. "We believe that Brussels will undoubtedly oppose this project citing Gazprom’s monopoly in the markets." Russia’s Central Bank has ordered banking institutions to report on whether they made any payments during cyber attacks, a source in the regulator told Izvestia. 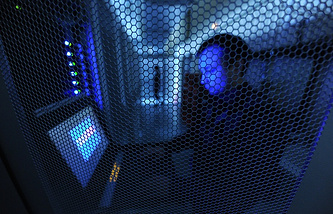 Combating hacking attacks is a priority, because over 1 billion rubles ($17.3 mln) were stolen from Russian banks last year. Its representatives explained that, with a high level of cyber protection in lending institutions, a cyber attack won’t result in blocking transactions. Banks will have to update their software so that they could simultaneously fight viruses and conduct transactions. Clients will thus be able to make payments, while the money on their cards will be safeguarded. When card transactions are not carried out, people are unable to use their cards or smartphones to pay, and they may not have any cash within reach. It’s good if a client has several cards to pay for the purchase. However, some clients use only one card, the paper quotes Andrei Lyushin, Deputy Chairman of the Loco Bank Management Board, as saying. According to Vladimir Ulyanov, Head of Zecurion Analytics, the suspension of operations during cyber attacks can lead to a client not being able to pay off a loan on time. Sometimes blocking transactions is critical for banks, said Ulyanov, pointing to scenarios where a perpetrator can penetrate into an institution’s IT system targeting client database. To prevent any data leaks, the bank would have to shut down the information system, and, consequently, cease all operations, he noted. Russia is gearing up for the 2018 FIFA World Cup, having prepared special tourist routes, entertainment programs and taste tours for fans and guests of the event, Oleg Safonov, Head of the Russian Federal Agency for Tourism told Rossiyskaya Gazeta. He stressed that preventing unjustified price gouging in hotels is of tremendous importance for the image of inbound tourism to Russia. "The guests of the football tournament should get positive impressions of Russia, and get acquainted with our country as an interesting and affordable travel destination." That’s a guarantee for an upbeat effect of the 2018 World Cup, which will trigger an increase in inbound tourist flow, he pointed out. According to Safonov, another priority for Russia’s tourism industry is the development of industrial tourism. "Our country has a lot unique industrial enterprises, which can attract additional numbers of tourists. Legendary factories, plants and field deposits are an essential component of the regional tourism potential," he said. Commenting on the approaching peak tourism season, in particular, tours to Turkey, one of Russians’ favorite destinations, he noted that last year Turkey offered considerable discounts to attract as many Russian tourists as possible. "Anyway, positive competition with Turkish and other foreign counterparts does a world of good for the Russian tourism business and, most importantly, for customers, that is tourists," Safonov noted. "The availability of a wide range of outbound destinations, along with tours within Russia, is an incentive for our resorts and hospitality companies to improve the quality of services, contain price hikes and improve business efficiency."